New Delhi: The Bharatiya Janata Party on Wednesday named Sadhvi Pragya Singh Thakur as its Lok Sabha election 2019 candidate from Bhopal. Sources had already told Zee News a day earlier that Sadhvi Pragya could be BJP’s choice for the Bhopal Lok Sabha constituency from where Congress has fielded Digvijaya Singh. Speaking to Zee News previously, Sadhvi Pragya had said that she does not consider Digvijaya as a serious opponent and if she is chosen to fight him, it would be her honour. “I am a nationalist while he speaks against the nation,” she had said. History could favour BJP once again in the Bhopal Lok Sabha constituency where Conrgess has not won since 1989. In 2014, the seat was won by Alok Sanjar of BJP with a margin of 3.7 lakh votes. 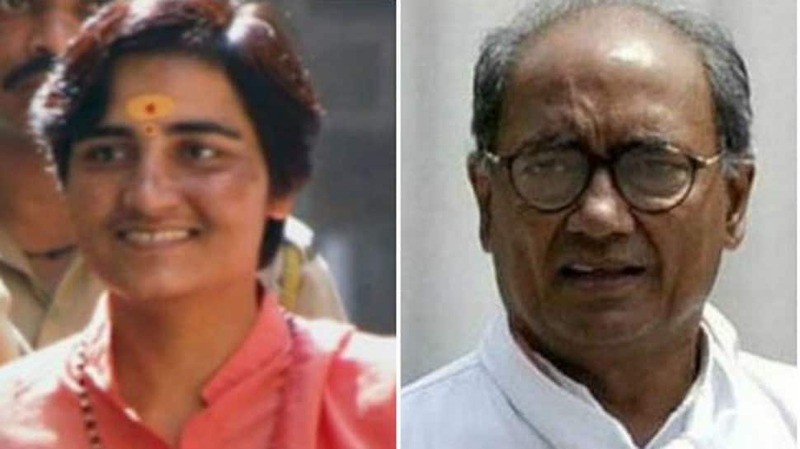 After Congress’ decision to field Digvijay from here this year, BJP may have chosen Sadhvi Pragya due to her work with ABVP and connect at the ground-level.